Is pain your constant companion? Are you sick and tired of feeling sick and tired - all the time? There is nothing more debilitating and ageing than pain. You can get your life back on track! Contact Rosilyn to help you to tap into your body’s natural ability to heal itself. Reclaim your vitality and restart living a healthy and happy life. Your body replaces millions of its cells every day, it is always working to maintain balance and survival of the essential organism – yes that is you. Sometimes it gets overloaded and then pain, exhaustion and stress are the flags you are forced to notice. Whenever you develop the physical or emotional symptoms indicating poor health, your body needs a helping hand to facilitate it back to a higher state of balance and well-being. When you tap into the help of a health care practitioner, your body itself can initiate and cause its own healing. Rosilyn has built her knowledge, skills and experience for over 20 years as a health care practitioner, her goal for you is a simple one - to be healthy and happy and where you want to be. Sounds too simple, doesn’t it? Read more here. BodyTalk is an entirely different way of looking at disease and illness. It looks at the underlying cause of your condition.It is drug free, non-invasive and has no adverse side effects. Utilizing the vibrational powers of colour, MindColours is a colour combination healing modality designed to be the interpreter to assist you in understanding the messages from the subconscious mind. The Emotion Code has been created to give you new insight, to show you how trapped emotions can cause all kinds of problems, and give you the means to release them. There must be some strange connection going on between us because at dinner last night I said to myself that I should go and email Rosilyn but then decided I will do it tomorrow (now being today) and lo and behold I get an email from you. Anyway, about me first… I was just wanting to pass on to you that it has been very cold in Melbourne and for a long time I have struggled with my health during these colder times but for the first time in many years I am still feeling good in both body and soul. So all in all I just wanted to say thank you for our numerous sessions because without doubt things have improved greatly with my health even though I still don't understand how it happened but thank you again. When I first came to Rosilyn for BodyTalk, I was one nail out of my coffin. Chronic Fatigue with complications, anxiety, stress, couldn't stay awake then I couldn't sleep, aches and pains like you wouldn't believe, food...couldn't keep much down at all. Seemed like I was allergic to the planet. I'd been to so many practitioners both medical and alternative. Rosilyn seemed to be my last straw. Amazingly, six weeks and eight sessions later I was sleeping without pills, back at work after 5 years of being unable to work because of my ill health, re discovered my wife... and able to take an interest in my family and the world around me once more. All the aches and pains, nausea and vomiting were gone and I felt human again. After so many years searching for a cure – it is more than a miracle. She got right to the heart of the matter in the very first session then just kind of tidied everything else up in follow up sessions. Amazing! I am a new man: fit healthy, strong and happy. I first came to Rosilyn because of debilitating back pain particularly during the night which I'd suffered with for nearly 5 years. I'd been tested for everything under the sun by the medical profession, of course, beforehand. At the first session she told me I had 3 large gall stones and a duodenal ulcer. I told her I'd been tested for gall stones and the tests came back negative. She said, "I don't care what the tests say, your body is telling me you've got gall stones. Please ask your doctor to request further tests". So I did and I was given another series of tests, one of which I'd not had previously. Sure enough, 3 large gall stones showed up on this different test. Rosilyn did her fancy business on the ulcer and that healed in no time flat. Initially she referred me to a Traditional Chinese Medicine practitioner to see about dissolving the gall stones but that didn't work so she packed me off to the medicos to have them surgically attended to. In the ensuing sessions Rosilyn located the spots where I'd parked the anger and fear, worry and grief which had surrounded my life since I was a young child. .. I am now totally free of pain – I am sleeping very restfully at night – no pain whatsoever, the mental anguish is gone, I am happy from within and finally, God and I are mates. I had a stroke when I was 39 years old. Since that time I had not flown an aircraft. However, I became an instructor for a commercial airline so was able to at least stay within the industry. Flying was my life - my passion. I loved nothing more than flying way above the clouds being in charge of a magnificently powerful machine. Circumstances 'forced' me into becoming acquainted with Rosilyn and much later on I learned that she was a practitioner. In the mean time, to keep my job meant I had to relocate. I didn't want to. I ended up discussing this with her one night and she suggested some sessions with her to check on my state of health. Well, I have to tell you...over the years I had met with multiple health challenges - the stroke at 39 was the least of them, e.g. I only had one kidney, the lower aspect of both lungs had been removed, I no longer had a spleen or gall bladder either. I'd broken several bones over the years (though not as a pilot!) and generally felt pretty knocked about one way or another. However, I was very fit as a runner and worked out at the gym. I was also very conscious of my diet and overall general lifestyle. I felt very well indeed. Rosilyn asked me why I couldn't reapply for medical status as a pilot once again. I was flabbergasted to say the least. I had never even considered it for one moment, especially not after the stroke many years previously. So, upon her urging and encouragement I applied for and underwent an extremely rigorous medical assessment. It was quite a lengthy process and at times I even wondered if it would be worth it. I continued to have regular sessions with Rosilyn throughout this time as well. I am more thrilled than I can say to be able to tell you that I passed all the medical tests with flying (pun intended!) colours and am now back flying commercial aircraft again. Thinking on it brings tears of gratitude to my eyes every time. What I would have thought impossible is now for real. I am back doing what I love to be doing more than anything in the world. I drop in and see Rosilyn every now and again for a maintenance check when I'm in Melbourne. She keeps me in good nick and flying fit. I was lost as a 16-17 year old. I hated school. I had some sessions with Rosilyn which changed my life. Four years later, I am a qualified electrician. I know I could have gone completely off the rails without those sessions from Rosilyn. Now I am a responsible man and member of the community with a very bright future ahead of me. Best for me – my very first job after I qualified as an electrician was to do some electrical work for Rosilyn at her new clinic. Cool. I sought the company medicos; they threw a battery of tests on me and everything turned up totally within normal range...but I still felt off colour! I happened to be flying into Melbourne on a 24 hours overnight and one of the crew mentioned they were going to see this amazing healing lady who they'd been seeing for a certain condition and had experienced glowing results. Long story short...down the track I eventually went to see Rosilyn. Much to my amazement she twigged to the problem within seconds and recommended a surgical procedure which would fix the problem in no time. She also 'fixed' up a few other bits and pieces along the way! So now every time I come to Melbourne (which isn't that often) on an overnight, I always book in for a session - just to keep everything in excellent working, operating order. It doesn't matter if it is me, my young daughter or my dog, Rosilyn comes up tops every time; she never misses. BodyTalk has saved my sanity on many occasions; my daughter just loves BodyTalk and my beloved dog is still alive today because of AnimalTalk. Does it get any better? I was born depressed; I'd never known that the way I was, wasn't right until my very first BodyTalk session with Rosilyn. Now, I haven't known what it is to be depressed since – I consider – the first day of the rest of my life. My life has been transformed. I walk around now with a smile always at the ready and I can view the world in a really positive manner. And it took all of about 20 minutes to rewire the brain, reset the plates and blow off some emotional baggage. I will remember that day for the rest of my life. Thank you Rosilyn and thank you to John Veltheim, the founder of BodyTalk. I am so grateful. Phew! Does this lady pack a punch or what???? I'm pretty healthy and lead a nice life. I just wanted to find out if all the things I'd heard about this healer called Rosilyn were true. Man oh man, did I get more than I bargained for. I only had two things on the case history intake form. Within seconds she had me sorted out very thoroughly - she dug up stuff then balanced and resolved all the "stuff" and I'm a new woman. So much more confident, my posture is straighter, my smile is genuine and always ready, I'm happier from within – actually, I'm simply glowing...and, I'm no longer a doormat. This stuff is really amazing. I'm hooked – sure hope I need more sessions! It was fun as well as penetrating and insightful. I don't know how she does it. Rosilyn tuned into the depression and anxiety and stress right at the beginning of my first BodyTalk session. There were some weird and wonderful things she did and by the end of the session I felt a whole different person. Much more relaxed and calm. She's always there when I need her. Thanks Rosilyn and Dr Veltheim for a great result; simple and fast. I hope you're well. I've been thinking about you and thought I would drop a quick line about Josh. Josh had a number of work trials for an Metal Fabrication apprenticeship and commenced a trial with his current employer in late March – he worked as a casual for almost two months and was signed into his apprenticeship in mid-May. Josh is doing really well with an employer who is wonderful and in a workplace that Josh loves. Through the work you had done with Josh, he was able to get his manual car license (drive friends around Melbourne), forklift license, start to go out for a counter meal, go to the nearby shop to buy lunch, and go away camping with friends. At the moment he is house sitting for his father, so is living by himself for a few weeks and looking after the dogs. Josh has come so far Rosilyn and I know it's because of the work you had done with him. I will keep monitoring his progress and check in to see if he needs a bit of a ‘tune up' to keep him on track. Thank you for everything Rosilyn. I've suffered with belly problems on and off for years. A friend referred me to Rosilyn. Within seconds she said, "My goodness, you are a worry wart of the first degree aren't you"? She was spot on – I've always been a worrier. She strutted her stuff and hey presto! Belly problems gone in no time. Then she set about getting a few other things cleaned up and my life was magically transformed – and I no longer worry every little thing to death! I was speechless when at the first session she said, "You love to run don't you...and you really miss it"? Then she said the most extraordinary thing. She said, "You will run again". I couldn't believe it and quite frankly I thought she was crackers. Immediately following the first session though I began to feel better, much better than I'd felt in quite a long time in fact. So I fronted up to the next and the next and so forth. By the 10th session I was better than I'd been for over 35 years! I was so thrilled and happy. I wasn't going to leave it there though. I remembered she said I would run again so I was going to (silently) hold her to it. Well, I have to tell you that it took four years but run again I am! I just woke up one morning and knew it was time and it was safe for me to run. I immediately packed up some track gear and headed down to the track. I was/am a sprinter. I set up and away I went. I can't even begin to tell you the thrill it was to feel the body fit and able and what's more, willing to run and run and run. And, I'm still running - competing again and have not had one single injury. That was two years ago...I still see Rosilyn on a regular basis - maybe every three months or so - we celebrated our 40th session earlier this year! She keeps all of me in tip top condition and for a long time has been my only health care professional. I am now 73 years old and feel I'm getting younger every year. I travelled overseas some 10 years ago and had been sick on and off ever since. I'd come down with dreadful gastro, vomiting and so forth. I'd been here, there and everywhere - as you do - and the symptoms would be treated but never the root cause. One session with Rosilyn and wham – she found a whole heap of foreign bugs all in the wrong places. For three days I had a raging temperature, I sweated bucketfuls and I tossed and turned. Then it was all gone. That is now 3 years ago and I haven't had a problem since. Amazing stuff here. Rosilyn has two goals for every client; a return to vibrant health and a zest for life. 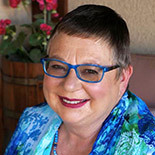 Her innate abilities and knowledge in natural and alternative health care practices have been refined and enhanced by formal studies she has completed in the BodyTalk paradigm of learning and practice. She has been delivering services to clients for over 20 years and she comes to you as an experienced, advanced Certified BodyTalk practitioner.